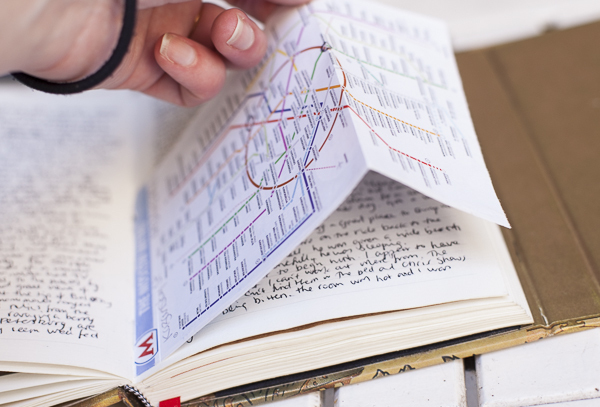 Our Peek Inside… series takes a look inside people’s personal journals to celebrate their imaginations and inspire others. 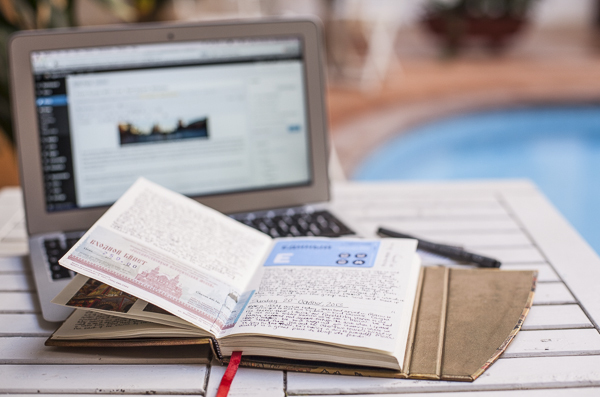 Send us an email if you have a project that you would like to be featured. I am a vagabond. My home is a van and I love to travel. From housesitting in rural Yorkshire to backpacking around India, I flit like a butterfly in search of nectar. 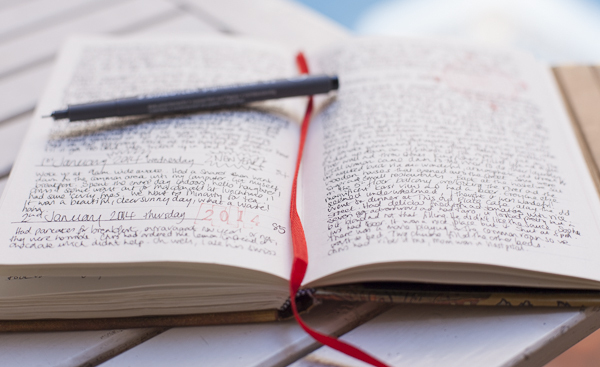 To preserve those amazing experiences I keep journals to record my adventures. 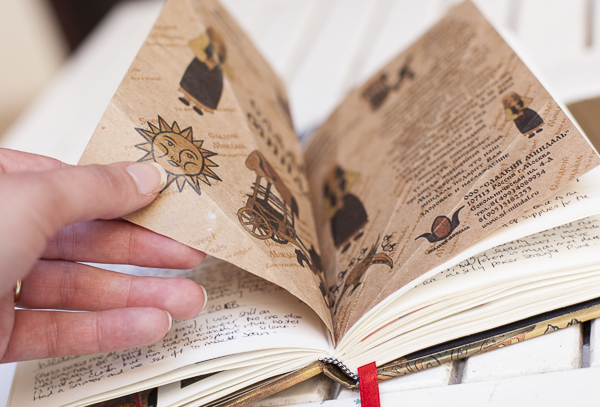 Those journals are my treasures, and within the pages are my memories, my feelings, my friends and my dreams. 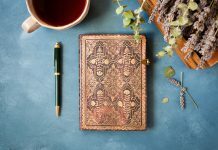 I have a bundle of these journals, tracking my travels through the ancient cities of the Middle East, around the temples and jungles of South East Asia and documenting a road trip around Australia (well, some of it! ), among other adventures. 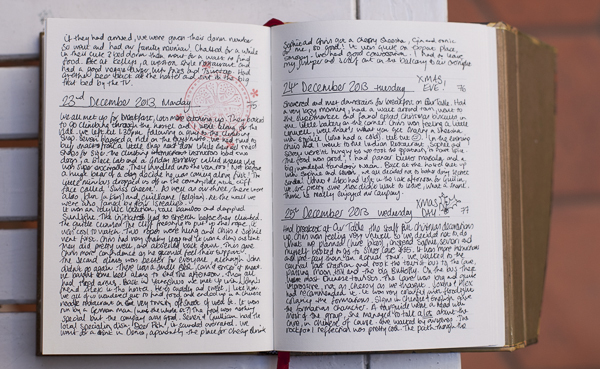 These photographs are of my current journal, recording an overland voyage by train to Asia. 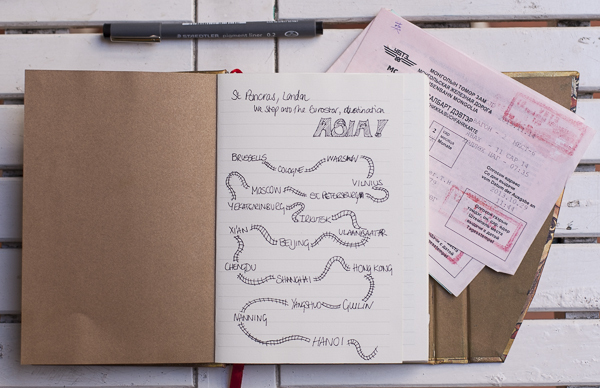 It is filled with many wonderful experiences, from drinking vodka with a friendly Russian on the train across Siberia to sleeping in a ger (the Mongolian word for “yurt”) in the Gobi Desert with a nomadic family. 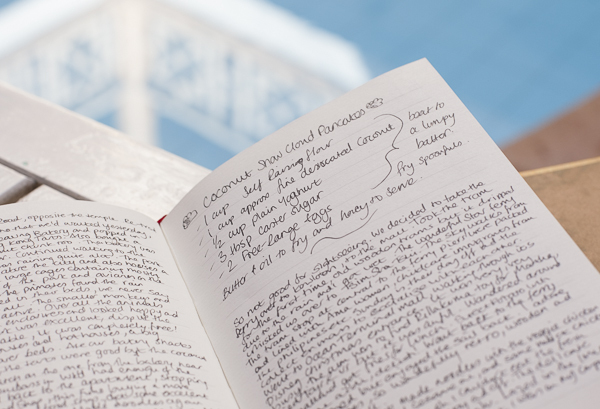 My diary isn’t quite a rip-roaring read, more of a personal record of my feelings, of what I ate and who I was with. From these details I write my blog, vagabondbaker.com, a place where I can share my travel experiences and my love of baking. I find the memories flow once I start reading. 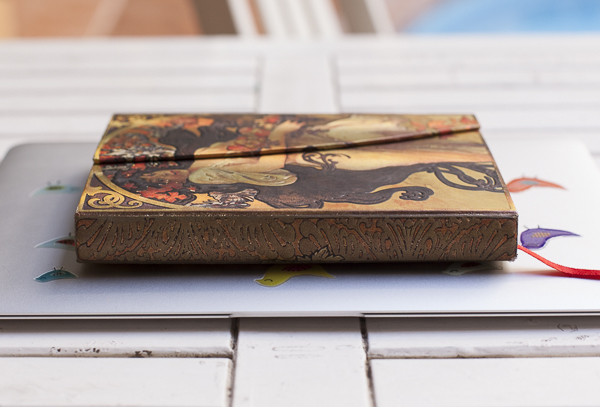 My old journals were invaluable when writing up some of my older journeys. 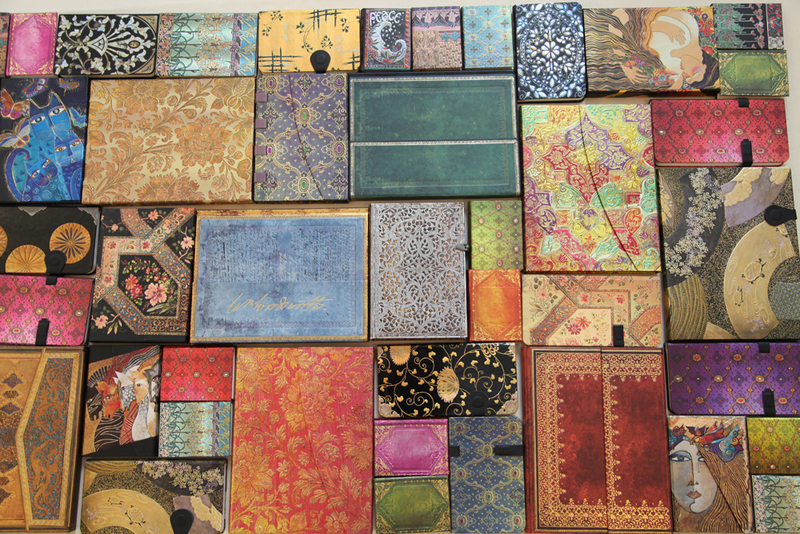 My journals are Paperblanks. I chose Autumn Maiden for this trip, so beautiful and bountiful, the promise of riches within. Perfect, as the journey began on a crisp, clear autumn morning, as I boarded the Eurostar in London, heading east. 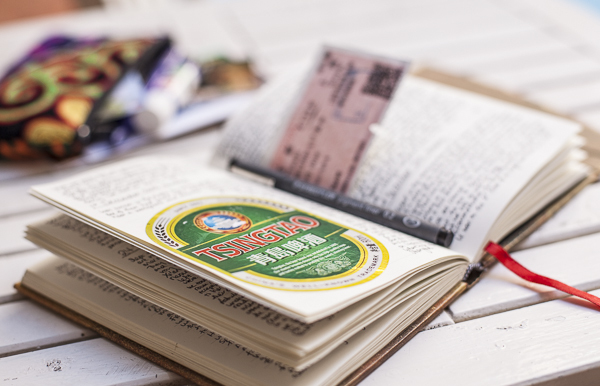 I pack a small glue stick into my day bag when I travel so that I can fix in things like tickets, stickers, beer labels and even banknotes if the value is low enough. 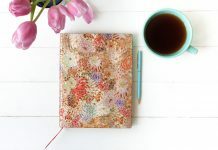 These items can awaken a memory as potently as a photograph can and add colour and interest to my journals. 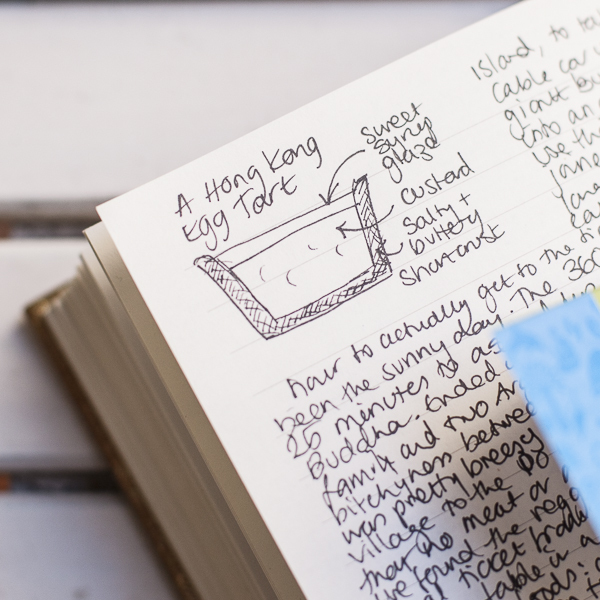 I do make the occasional doodle and I’ll jot down recipes that I create or find along the way; I’m always on the lookout for baking inspiration. 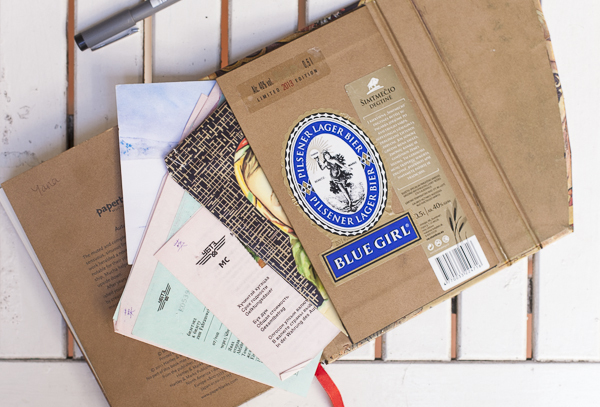 The memento pocket at the back of the journal is perfect for safely transporting tickets and cards, too. Occasionally, I come across ink stamps and I adore using them to decorate the pages of my journal. I’ve found them in Japanese railway stations and, every now and again, at tourist sites all over the world. 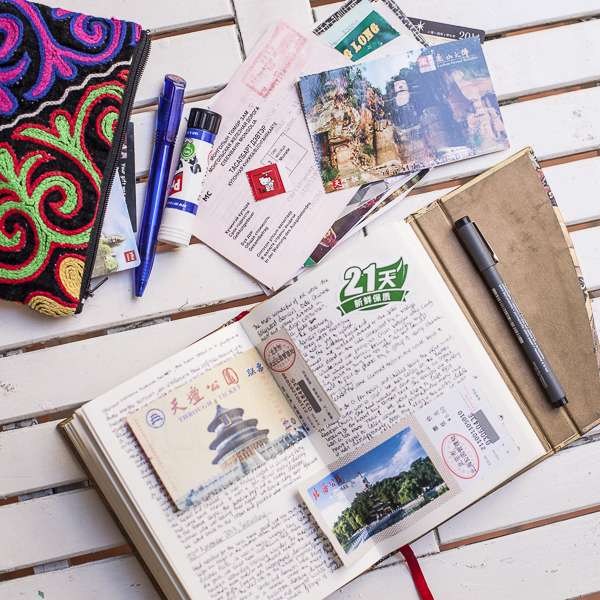 On this trip, the hostel in Yangshuo had them for decorating postcards so I stamped a few pages with pretty Chinese designs. 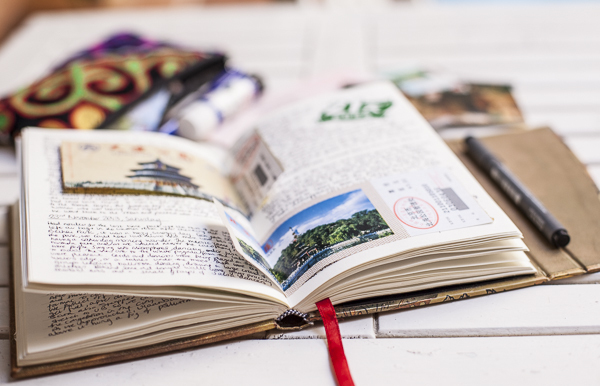 I often urge fellow travellers to keep a journal as mine have become such treasured possessions. Reading them years later I have relived moments that I had forgotten and enriched memories that have faded over time. Thank you! 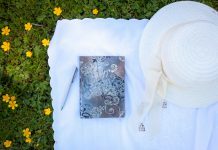 Your blog is wonderful, what a great idea! Rachel your talents and creativity overwhelm me! Hello! I’m afraid not but I am definitely going to try and recreate them when I get back to the UK. So delicious! LOVE THIS! What pen do you use? Any black pen I can lay my hands on but I prefer graphic drawing pens rather than the rollerball/biro type if I can find them on my travels as they are finer for my tiny letters.